Get the full 60-minute feature length version of the film alongside the “Tug of War” manifesto supplementary reading. The Tug of War Education Kit is an easy-to-use tool designed for sharing the film with your students, faculty, and community. The Tug of War Live Screening kit is an all-inclusive package containing everything you will need to host a live screening. “Furqaan Academy in collaboration with Muslim Association of Bolingbrook and Islamic Center of Naperville hosted a Free TUG OF WAR live movie screening event in Chicago and this event brought a lot of attention particularly to youth in our community. “The film was indeed, as advertised, very professionally made and complied with the shariah requirements. It was definitely a source of halal and meaningful entertainment. The post film presentation fit in perfectly with the message of the film and was very beneficial and almost necessary aspect of the film’s experience. This was the first time that the Darwin Muslim community was having this important discussion of this rather taboo topic on such a large scale. The management of the Islamic Society of Darwin completely supports such projects. Given the age of the films and media will live in, it is essential that difficult topics such as these are explored via these means so that they appeal to and thus educate the masses of the Muslim ummah. It is also very important that Muslims themselves take the lead in these projects so that we are able to authentically proclaim our narrative instead of someone else doing it on our behalf. “There has been a desperate need for mainstream Muslim artists to step up and make a seat at the table where stories have, for too long, been told about us-without us. Boonaa Mohammed has done it by bringing to life this thoughtful, sensitive, and honest story through quality production. 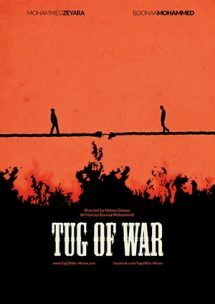 In Tug of War, the complex nuances of Western Muslims are captured (finally!) in a manner that does justice to reality. 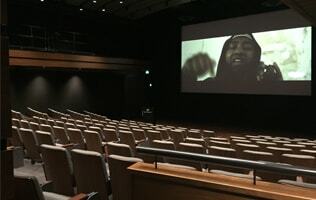 To play a small role in reminding our communities, within both our Muslim and non-Muslim circles, the immense value of using our voice through art by hosting a screening was uniquely rewarding. 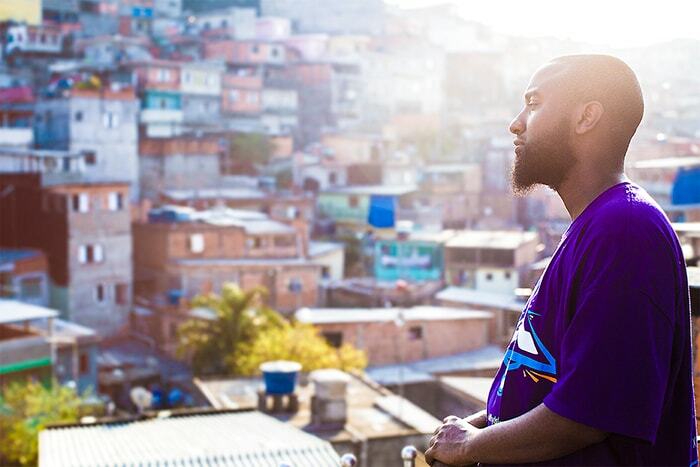 “I was surprised at the high quality of the production of the film. The high level of script-writing, story-line and videography, which is all based on true experiences narrated from Imams and local Muslims residing in North America. The post-film presentation by Boonaa Mohammed made the whole audience feel like they are part of this global project. It helped to clarify any questions the audience had, and provided in depth details about the production of the film. It also helped to inform audience members about how they can best fight against radicalization. Dubbed the “voice of a generation,” Boonaa Mohammed is a critically acclaimed award winning writer, performer and film maker with accolades including a playwright residency at Theatre PasseMuraille, a short story published in a Penguin Canada anthology called “Piece by Piece” and various slam poetry titles credits including winner of the 2007 CBC Poetry Face-Off “Best New Artist” award. His first feature length film “Tug of War” tells the gripping tale of two young Muslims who get exposed to radicalized Islam and he uses his popular Youtube videos have received Millions of views to date, and as an Artist he has toured and traveled across the world, speaking alongside some of the most influential scholars and entertainers of our time. He frequently conducts writing workshops and seminars, sharing his experience and expertise in Spoken Word story-telling with mainly youth from all walks of life.